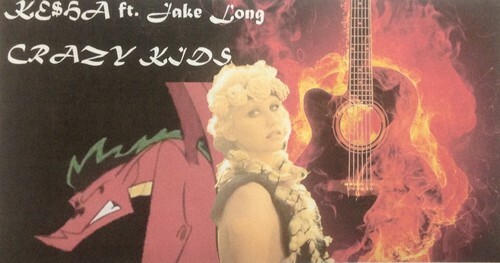 Jake Long & কেশা - Crazy Kids. Do y'all think Jake and কেশা make a cute couple?. HD Wallpaper and background images in the American Dragon: Jake Long club tagged: photo american dragon jake long jake ke$ha crazy kids fire guitar song warrior.